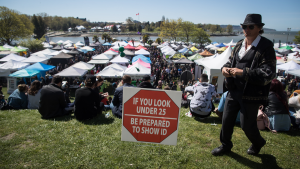 The unusually warm weather on B.C. 's South Coast has forecasters concerned about a quick start to flood season. Search and rescue crews are already preparing for possible incidents, and let CTV News watch an exercise to show how they're getting ready. Less than a year after a spring that devastated the province, North Shore Rescue members took part in training. While the scenario is made up, almost everything about the situation is real. A mock patient has fallen off a cliff into rapidly moving waters, and the team is tasked with the rescue. "We have to find ways to get in there safely, find that patient, treat them and then get them out," said Craig Gerrard of Raven Rescue, a Canadian organization that delivers technical rescue and wilderness medicine training. Our cameras captured a trainee jumping into the river and swimming against the current. A group of rescuers rapel down the cliff with a spinal board. Another group is in the water with a boat, trying to reach the "patient." NSR is training just in time, according to warnings from experts. B.C. 's River Forecast Centre says the warm days in March kicked off the snow melt, and an unusually dry month didn't help. The center says weather in the next couple weeks could be key, and if it warms up even more, the province could see a repeat of last spring. 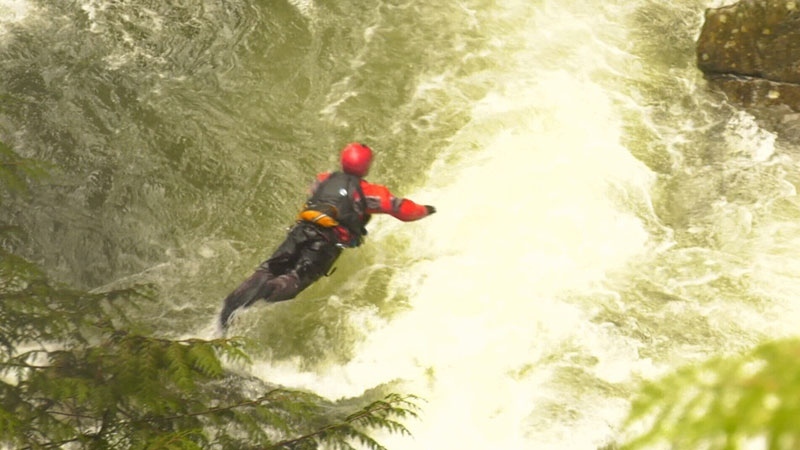 Members of North Shore Rescue participated in a training exercise over the weekend to prepare for what could be another bad spring for flooding.